Our December, 2016 newsletter will be available online at Dr. Krohse's Blog. If needed, please use the links in the footer to opt out or change your account. $20 for $30 for Two Great Organizations - New Patient Promotion! 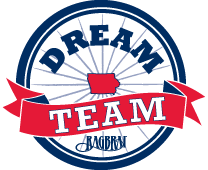 Through the end of the year, new patients are invited to schedule their first visit using our $20 for $30 promotion benefiting the Dream Team and the Central Iowa Trail Association. This promotion will limit the cost of an exam to $20. Any X-rays needed at the time of the exam will be free. Additionally, Dr. David Krohse will personally donate $15 to the following two organizations for each new patient that comes in using this promotion! Please mention the promotion when scheduling - give us a call at (515) 309-1217! Dream Team - "The Dream Team is a five month program that partners youth with adult mentors to provide a unique opportunity to build relationships, achieve personal growth, and learn life skills. The program culminates with a week long bicycle ride across Iowa and the emotional experience of riding from the Missouri to the Mississippi River. The young adults in the program build confidence and self esteem while learning that healthy goals can be attained with sufficient planning and preparation." Central Iowa Trail Association - The Central Iowa Trail Association (CITA) designs, builds, and maintains trails around the region. 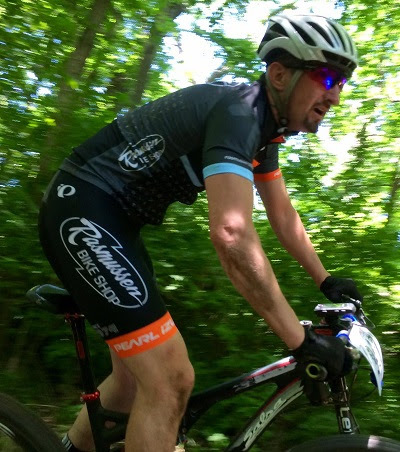 Focused on dirt trails for mountain biking and trail running, the addition of these trails greatly enhances the quality of life of local residents. Funds donated go toward new trail building projects such as a new "flow trail" at Ewing Park as well as equipment for volunteers to maintain local trails. "The Standard Process® Purification Program is not a fad diet. The program teaches you how to live a healthier life by purifying, nourishing, and maintaining a healthy body and weight. The 21-day purification program cleanses by removing naturally occurring toxins. You’ll begin to define your “new normal” with a healthy diet and supplements that will support your nutritional needs and lifestyle." Read about Dr. Krohse's transformation back in 2010 using the Standard Process Purification at his blog. 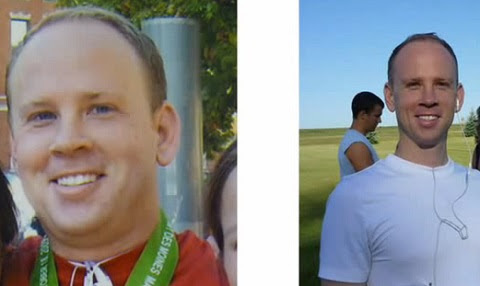 Through the program he dropped 25 pounds in two months and got rid of year-round environmental allergies! The program normally costs $223 plus tax but through December 30 you can get $50 off by mentioning the Happy Holidays Megadeal! 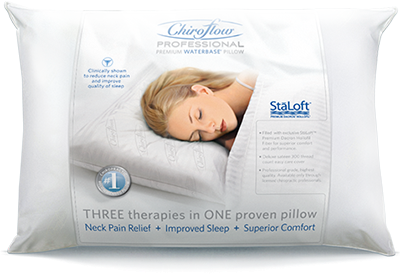 The Chiroflow Water Pillow has become our most recommended pillow for side sleepers. The water base of the pillow allows you to fine tune your support so that you can sleep as in-line as possible and wake feeling refreshed and pain-free. Normally this pillow is $54.95 but through the end of the year you can get one for just $39.95! 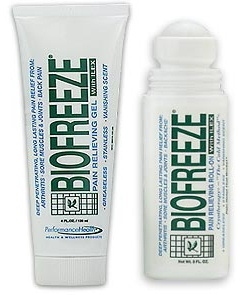 Biofreeze has built a reputation for being the premier topical pain reliever. Patients often find both short and long term relief with these products and appreciate that it can be used without the risks of oral anti-inflammatories, muscle relaxers, or prescription painkillers. We carry both tubes and roll-ons of Biofreeze both normally priced at $15.49. Through the end of the year, mention this megadeal and get $5 off! Yes, I'm one of those people excited with the anticipation of the upcoming mini-series Gilmore Girls: A Year in the Life. It will be shown on Netflix, beginning November 25. The original series debuted in October 2000 and wrapped up in May 2007, thus it's been a long, dry spell. 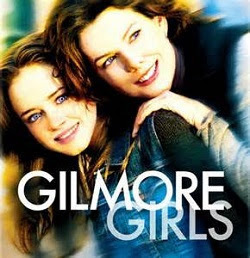 I enjoyed watching it with my girls when they were younger and, now grown-up, we're all looking forward to catching up with Lorelei, Rory a nd all of the many other cast members when the series makes a brief, 4-part revival after Thanksgiving. Set in a storybook Connecticut town, Stars Hollow, the series is populated with an eclectic mix of everyday folks and characters. Gilmore Girls is a humorous multigenerational series about friendship, family and the ties that bind. The strong and loving mother-daughter relationship portrayed in the original Gilmore Girls series, reflected the growing reality of a single mom doing her best to see that her daughter didn't follow in her footsteps and make the same mistakes she did. It's a very well written series with wonderful acting and emotions that draw you in. I enjoyed watching the series with my girls when they were younger and we can't wait to pick up where we left off 9 years ago. The reunion will include the original cast members with Lauren Graham playing Lorelai Gilmore (the mom), Alexis Bledel plays daughter Rory and I was happy to learn that Melissa McCarthy was able to find time to rejoin the cast as Sookie. If you’re looking for a fun gift exchange for your friends or family this Holiday season I've got one for you! Every year a group of my close friends and I have a friend's Christmas gathering. For the past three years we have incorporated a gift exchange which has been so fun and everyone looks forward to it. The rules are simple! Everyone buys three "favorite things" gifts $5 each (or as close to $5 as you can get), everyone's name goes into a hat three times and everyone draws three names to whom their gifts are given to. One by one each person reads their three names and gives away their gifts. Everyone ends up with three different gifts of their friend's favorite things!! Some examples of gifts exchanged in the past are: lip gloss/chap stick, loose leaf tea, body scrub, gourmet chocolate, gift cards to Starbucks, socks/gloves, picture frame with pic of our group of friends, donation to foster care agency for $15 in the names of the three friends whose names are picked by the gift giver, and coffee mugs with fun quotes on them. 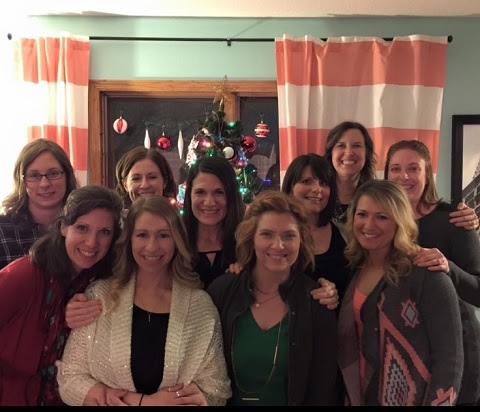 Last year’s group pic before the gift exchange- minus husbands! My 14 year old niece turned me on to this shop at the Jordan Creek Mall when she was shopping for back to school items. It is a small shop that packs a big selection. They are based out of Vancouver, Canada and have shops all over the world. All products are 100% vegetarian with 80% being vegan. They don't believe in cruelty to anim als so they are careful to buy their ingredients from companies that do not conduct or commission tests on animals. As well as, always wanting to know where their ingredients come from and how it is made. They believe the freshest ingredients make a more effective product. They keep their packaging in the belief that less is more, so there is minimal waste for the environment. They do fun seasonal items in their bath bombs, soaps, gels, bars, lotions, cleansers and scrubs. Then have an assortment of everyday items for body, hair and face, including make-up and perfumes. 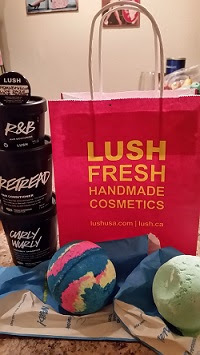 So far, I have tried some shampoo and conditioner and the bath bombs. The bath bombs make for a fun and relaxing bath with the ball turning the waters bright colors that sometimes have sparkles in them! Most are scented with essential oils that add to the experience. I love the shampoo and conditioner and my niece got a couple of their face masks to try and she loves them. This is a shop I can definitely see on our list every time she comes to visit! Recently a cycling friend committed suicide. While I’m not close enough to know much of anything about the situation, I have ended up thinking about the times I felt hopeless. I think most of us have felt hopeless at one time or another. I feel so grateful that I was able to pull out of those down times. In my personal experience, action steps like the ones outlined in How to Stop Worrying and Start Living have been the key to pulling out of a downward spiral. 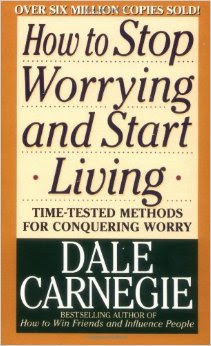 In past years during the month of November we have put clipboards in our reception area and invited patients to share “The Books they are Most Thankful For.” One year a very successful financial advisor wrote down the book How to Stop Worrying and Start Living by Dale Carnegie. When I asked him about it, he shared that it had a powerful effect on his life. This guy appeared to have mastered life. He seemed to balance family, adventure, fitness, and finances so well. I was impressed that he was willing to share that he had dealt with worry, anxiety, or depression in the past and I was inclined to take his reading advice seriously. I read the book. It was a quick and entertaining read with many stories of real world situations. Dale Carnegie’s books are great because they are filled with common sense strategies that we all know but sometimes forget to put into action. As they say, “common sense isn’t common.” The most valuable parts for me were his emphasis on working more or becoming busier when you are feeling down. If you are depressed the right part time job can seriously lift your spirits! The other section that was most valuable was where he emphasizes that if you are feeling depressed, you should, “try to create a little happiness for others. When you are good to others, you are best to yourself." If you ever find yourself feeling like no one cares about you, start volunteering or get a job where you help others. As the people you help, your coworkers, or your fellow volunteers depend on you your spirit will rise! Over the years I have recommended this book to many people. Patients come to me with anxiety and depression and I recommend it. Some of my patients have been in car accidents. After the trauma, they are finding it hard to drive on the highway, and the anxiety is trickling over into other areas of their life. I have asked them to read this book. When Val (my fiancée) was going through nursing school she started to experience some anxiety related to the practical exams at school, and she appreciated reading this book. Whether you are feeling down and depressed or deal with anxiety, I can’t recommend this book highly enough. If you have friends or family members who deal with depression, remember that the holidays can be especially tough. Reach out to them and love them well! If you’re close enough to breathe wisdom into their life, personally read this book and then share with them how impressed you were with it! Ultimately you may be able to help them be free of or loosen the chains of anxiety and depression and get on the road to a satisfying and fulfilling life.